Regardless of culture, anyone who’s ever had a cold, a fever, a pain, etc., has been subjected to the rigors of their mother’s natural remedies, such as tea, honey, lemon, pepper, garlic, liquor, etc. However, there are also a few seemingly culture-specific natural remedies as well. Why? Like most cultures, African Americans throughout history have discovered and adopted various natural remedies from their African roots, as well as those from Native Americans. Of course, these remedies passed from generation to generations, from mother to daughter, father to the son. The result? An amazingly rich list of natural therapies, healers, and soothers. Note: Most doctors agree that the most ideal solution to most conditions and diseases is, when possible, a marriage of both natural remedies and a physician’s care, since it’s sometimes very difficult to control the quality and recommended dosages of different ingredients – or to completely understand what ingredients may conflict with other medications or health conditions. Therefore, be sure to consult with your doctor before starting any treatment. Of all the well-touted natural health remedies that exist today, very few are followed quite as religiously as taking a tablespoon or two of apple cider vinegar every day. Apple cider vinegar has been hailed as a cure-all supplement, from allergy relief to weight loss. Anywhere you look, you can find people who believe that drinking apple cider vinegar has helped them. 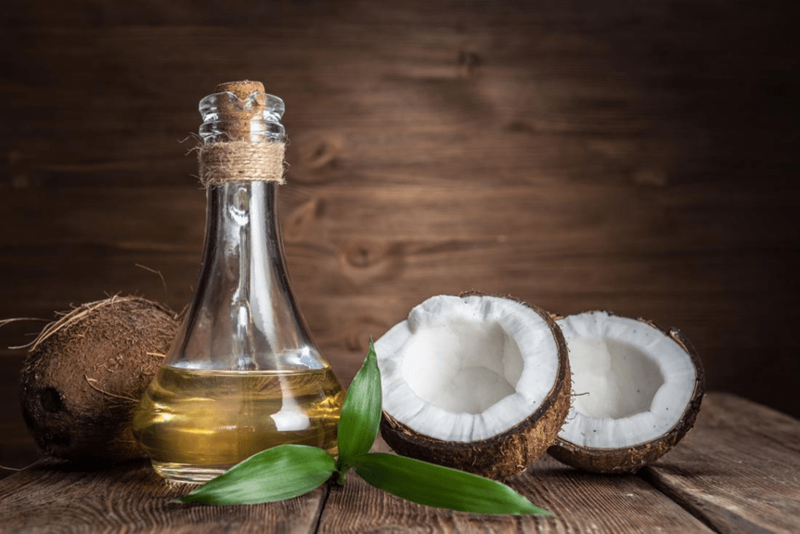 Coconut oil has a surprising number of health benefits, from relieving stress to bolstering your immune system. It’s rich in the lauric, capric and caprylic acids. 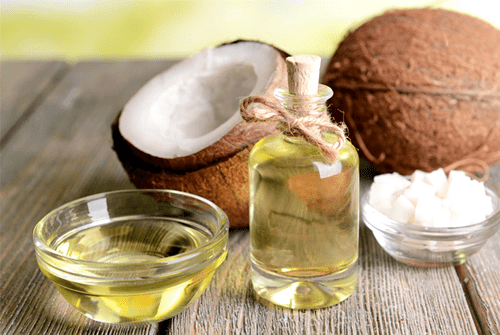 These omega three fatty acids give it its antimicrobial, antioxidant, and antifungal properties. It can be used to cook food, moisturize skin, and treat infections. Onions are an important old folk remedy ingredient believed to help combat infections and reduce fever due to its anti-bacterial qualities. 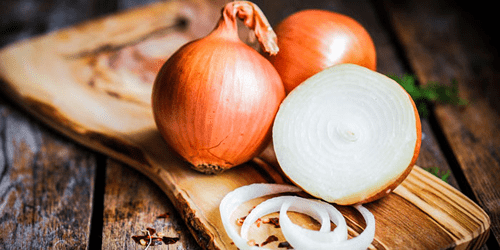 It’s important to note that onion use can lead to allergic reactions in rare instances, so caution is advised. Onion powder is usually less potent than fresh onion. It is very important to consult with your doctor if you experience a fever that lasts for more than a couple of days. Many people believe that eating raw onions helps to prevent heat stroke during the summer. If you already have heat stroke, however, rubbing onion paste onto the soles of your feet may provide some relief, as well as putting onion slices on your feet can help ease a fever. A special favorite of moms? Chop up those raw onions and roll them in a handkerchief, then tie them at ankles and wrists to break a fever. Or, cut up onions under the bed and close the door. Some years ago African American mother’s daily routine or ritual was to give their children cod liver oil to promote and ensure good health. Most believed that this distinctive oil was extremely protective and helped to maintain wellness and prevent illness in their precious children. Mothers swore by it and knew it was good for their children. Of course, their children, in many instances, swore that they did not like the unique oil’s taste, in spite of whatever their mothers thought about the benefits. Vitamin A: Helps to maintain a healthy immune system, helps resist bacterial and viral infections and is beneficial for eyesight and healthy skin. Vitamin D: Helps maintain strong and healthy bones. Omega-3 Fatty Acids: Omega-3s have anti-inflammatory properties, which help relieve the symptoms of arthritis, improve brain function, reduce stress, prevent allergies, healthy skin, relieve asthma and help with learning and behavioral disorders, as well as potentially relieving many other ailments. Cod liver oil is available in liquid or capsule form, thus in the capsule form, one does not have to contend with the taste. In addition, the oil is available in various taste friendly flavors. The thick viscous syrup we call blackstrap molasses that provides the robust bittersweet flavor to baked beans and gingerbread is available throughout the year. Blackstrap molasses is just one type of molasses, the dark liquid byproduct of the process of refining sugar cane into table sugar. It is made from the third boiling of the sugar syrup and is, therefore, the concentrated byproduct left over after the sugar’s sucrose has been crystallized. Iron: In addition to providing quickly assimilated carbohydrates, blackstrap molasses can increase your energy by helping to replenish your iron stores – particularly for menstruating women, who are more at risk for iron deficiency. Calcium: Blackstrap molasses is a very good source of calcium. Calcium, one of the most important minerals in the body, is involved in a variety of physiological activities essential to life, including the ability of the heart and other muscles to contract, blood clotting, the conduction of nerve impulses to and from the brain, regulation of enzyme activity, and cell membrane function. Just 2 teaspoons of blackstrap molasses will sweetly provide you with 13.3% of the daily recommended value for iron. Mustard is known for its properties of healing and bringing down inflammation. Mustard seed is mainly used medicinally in plaster form for bronchitis, rheumatism, and lumbago. It is sometimes added to a bath or used in foot baths for colds and flu. Internally, a concoction of mustard seeds is taken for lung problems, such as coughs and excess phlegm, and to warm and improve the digestion. Commercially-made mustard plasters are sometimes available in drugstores and herb shops or natural food stores. The broom holds a very important position in African folklore, magic-religious beliefs and spiritual practices throughout various cultures. It has a prominent role in certain weddings, such as the jumping of the broom. Pierced ears: Not quite as common as it was before, children with newly pierced ears would have a piece of singed broom straw inserted into the piercing. It’s believed that this helps seal off the hole so that the pierced ear would never close, and to also help fight infection and encourage healing. Hiccups: Put a piece of broom straw in your hair to get rid of hiccups. Another old favorite: Soak pennies in vinegar and place on ringworm.